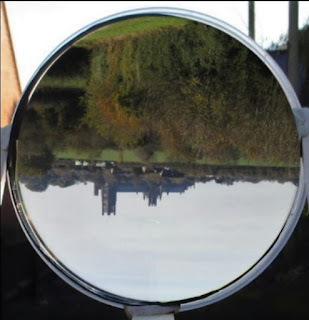 I fixed a concave shaving mirror on a flexible post to the Big Henry Tudor Colossus Telescope that I have been building. It is still unfinished and skeletal without a outer tube to keep out stray light. 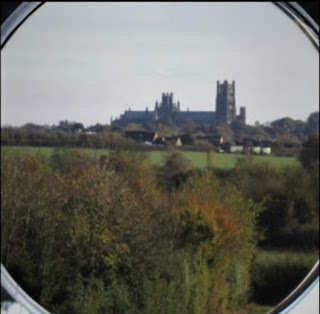 However, I deecided to try it out for the first time to see if it would work looking towards Ely Cathedral over the nearby fields. Below is a cropped image the right way up. The magnification is not as great as I had hoped (in fact my prototype with a 2" objective has better magnification) and the closer objects seem in much better resolution than the cathedral which is further away. 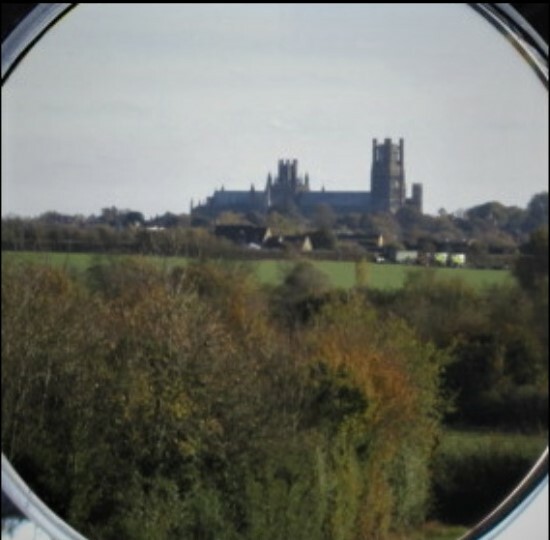 However, where this telescope wins is that it has a huge field of view. The larger 10" lens makes a significant difference. My next task will be to cover the telescope and to refine the focus for more distant objects. However, for a first outing the results are impressive and show what could have been achieved with Tudor technology.